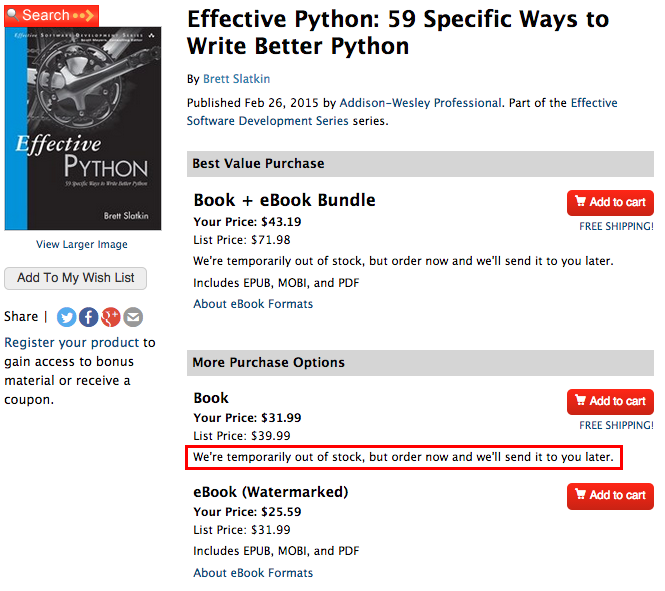 Effective Python sold out thanks to PyCon 2015! My publisher had to do an emergency second printing a few weeks ago because it looked like this was a possibility. Luckily, the book will be restocked everywhere on April 17. Amazon still has some left in their warehouse in the meantime. I'm happy to know people are enjoying it!